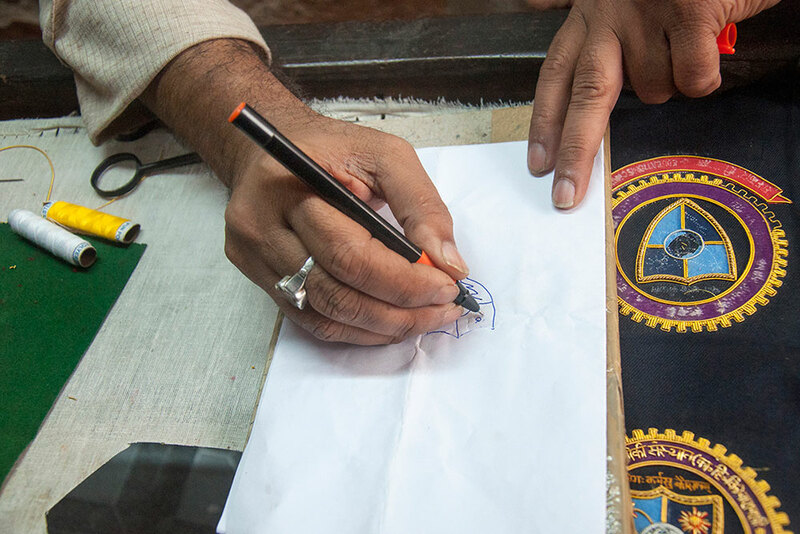 A sketch is initially prepared for zari zardozi work on a tracing sheet. 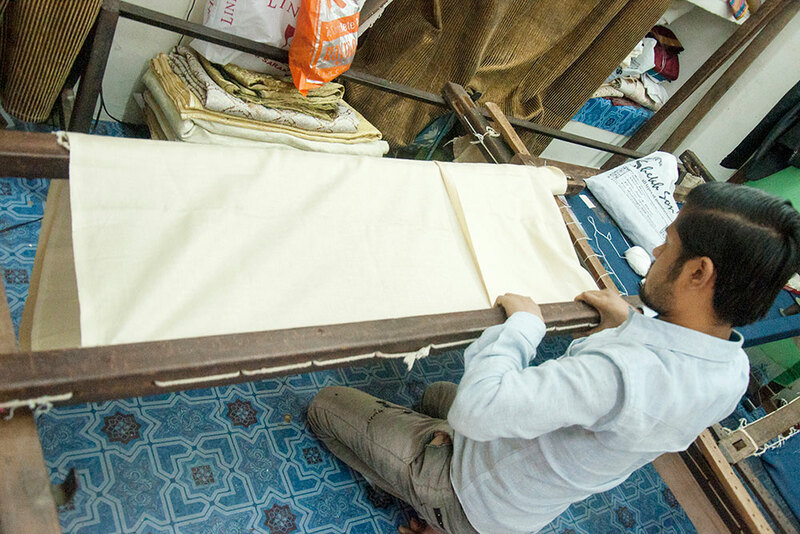 Fabric is neatly spread and attached to the wooden beam frame. Tracing sheet used as design template transfer the designs on fabric. The outline of the design is neatly hemmed. 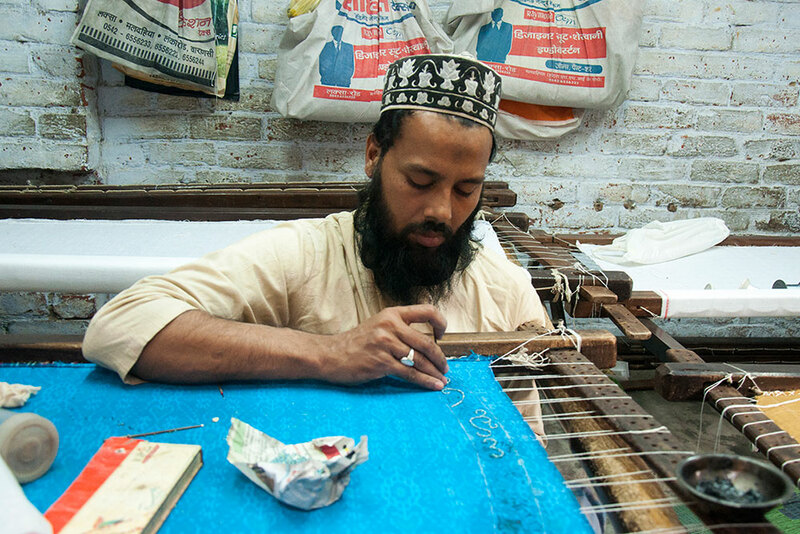 The borders are neatly hand sewn with thread and needle. 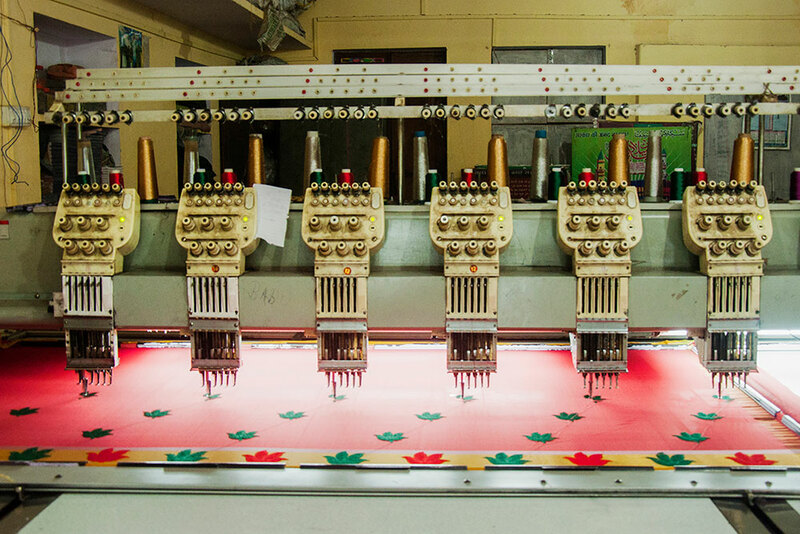 When need on the sarees the embroidery is made using sewing machine. 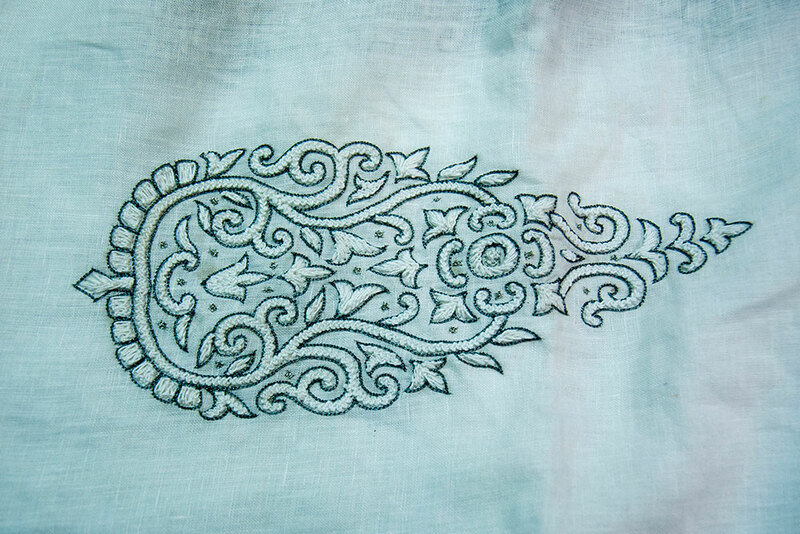 Close up of beautiful embroidery made on the fabric. 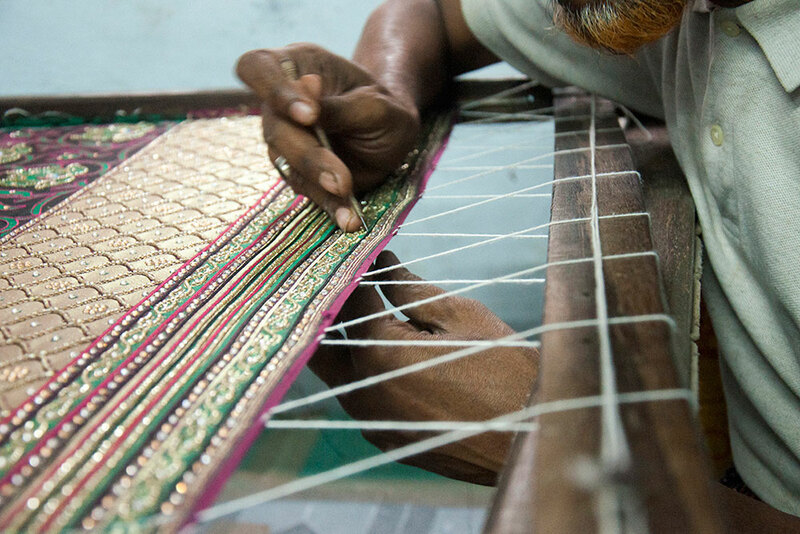 And those beads ate stitched to the saree as per the design. 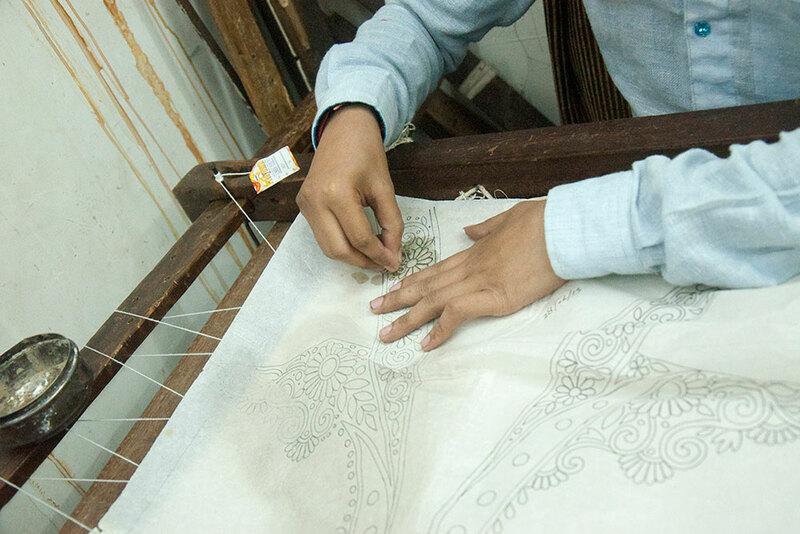 Artesian giving the final finishing for the zari zardozi embroidery. 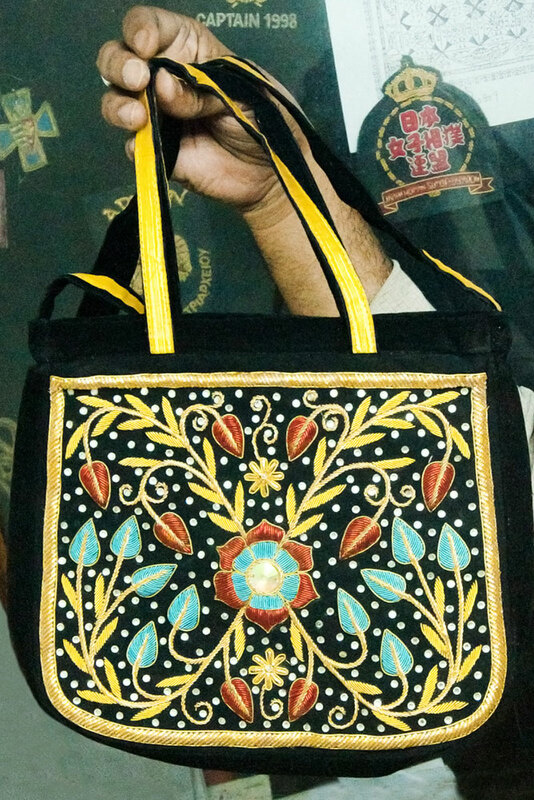 Beautifully designed zari zardozi embroidery on a handbag. 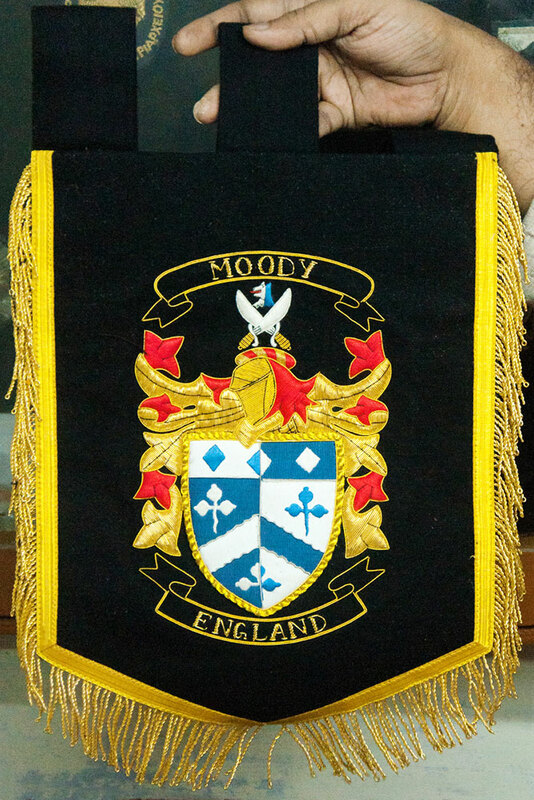 A logo displayed that is made of zari embroidery. 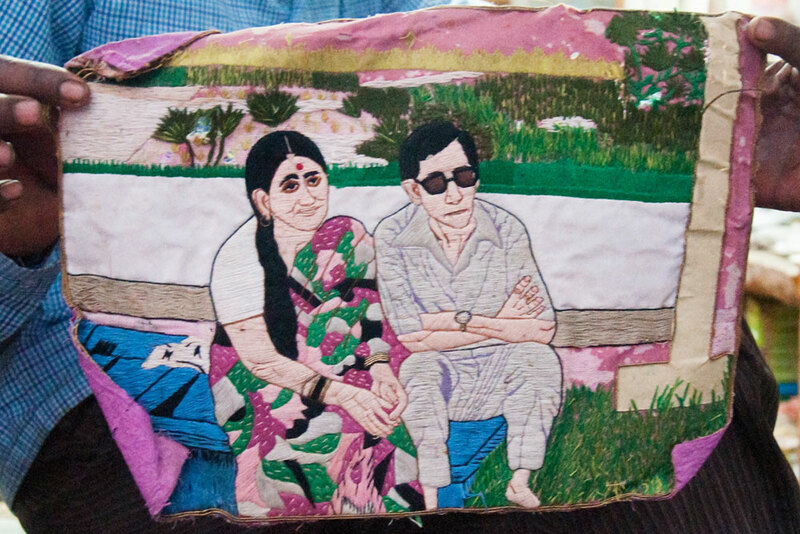 A couple with a neat background is made through zari embroidery. Zari Zardozi is one of the finest traditional embroideries which are glitteringly ornate and heavily encrusted gold thread work of the world. 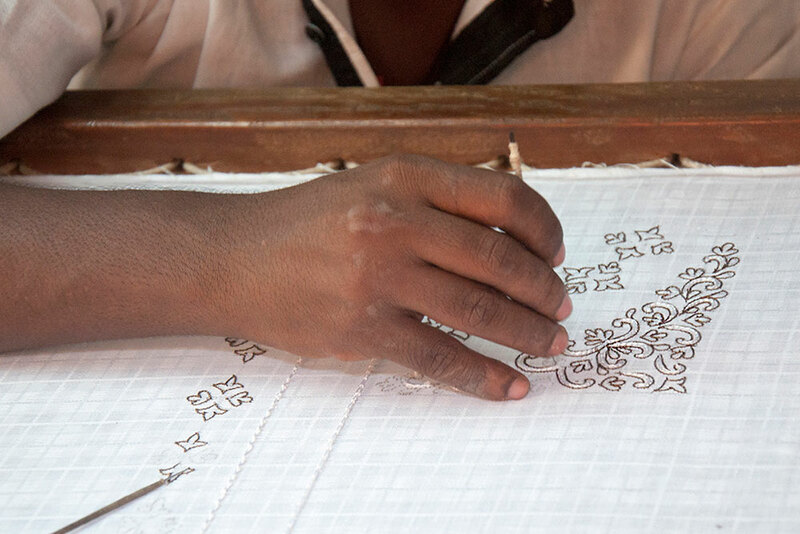 Though the original work of Zari Zardozi embroidery was done with gold or silver wires coated with gold known as Kalabatun is now has been replaced with synthetic threads but yet the art of embroidery retains its aesthetics as same as olden days. It is one of the crafts of India seems to have flourished in early centuries and still have survived till the date like few others. Along with the bridal collection, these days the Zari zardozi works are also made for exquisite evening dresses, coats, sherwanis, fashionable handbags, belts, shoes to decorate royally, cushion covers for furnishing accessories, official adornments like badges, emblems, house decors like wall hangings, boxes and etc. 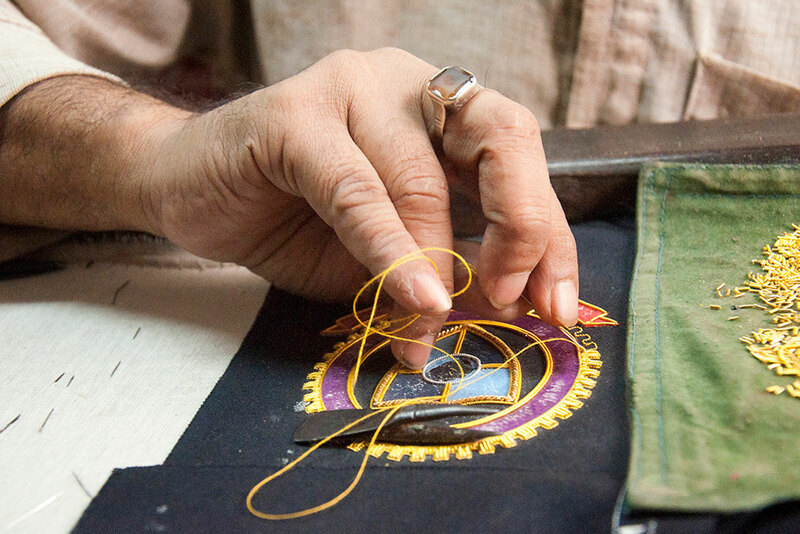 There are several families in Varanasi that have revived this old craft and are supplying the exquisite zari embroiderybridal outfits to famous shops all around the country.